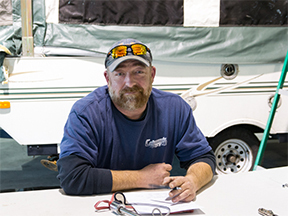 After nearly 18 years, Terry still shares in the day to day responsibilities of co-ownership of The Boat Dock and most recently the acquisition of Colman's RV with his partner Mike Miles. When time off does present itself, you will find Terry either enjoying boating and or fishing on his home waters of Lake Petersburg, or testing his patience on the local links. Terry and Mike like the rest of the staff look forward to serving their customers to the best of their ability. 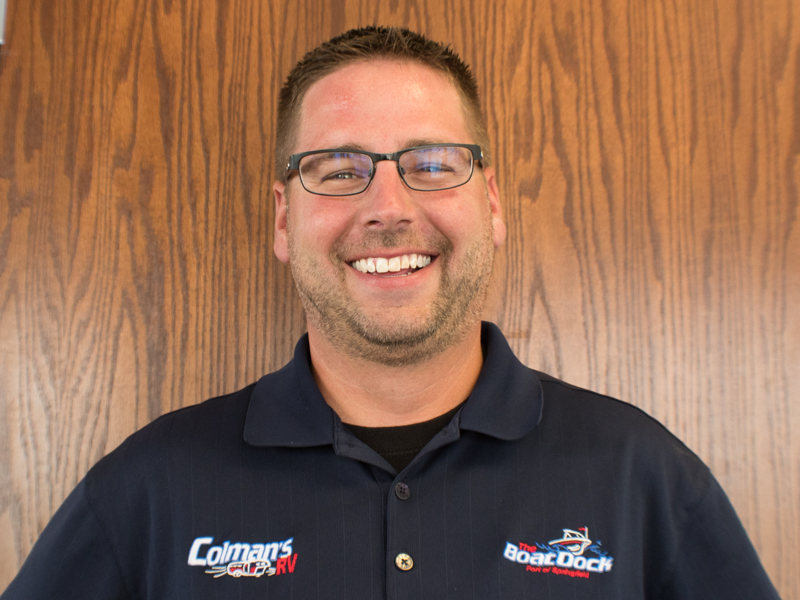 As the co-owner and operator of both The Boat Dock, and Colman's RV, Mike stays quite busy with sales, marketing, and the many aspects of day to day operations. 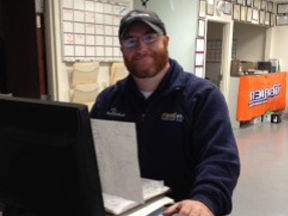 As with all the staff, Mike is always eager to answer any question you may have about boating, fishing, and camping. Being an avid boater and fisherman himself, it's not uncommon to find him on any one of the local lakes, especially Lake Springfield. Mike is also a self proclaimed semi-pro rain gear tester and has been declared the two-time, tri-county backlash pickin' champion. In spite of this seemingly never ending list of talents, Mike manages to stay grounded enough to ensure that the customers always come first. has been a fixture at The Boat Dock, since early 1997. Greg has more marine experience than most dealers combined. He is dual certified in Mercury outboards and Merccruiser stern drives. Greg brings not only a wealth of knowledge, but also a ton of heart. No one cares more about getting the job done right the first time, than Greg. Like most of the staff Greg is a true outdoorsman. Hunting, fishing, and horseback riding are a huge part of Greg's spare time. The Boat Dock is blessed to have Greg as a member of the team. 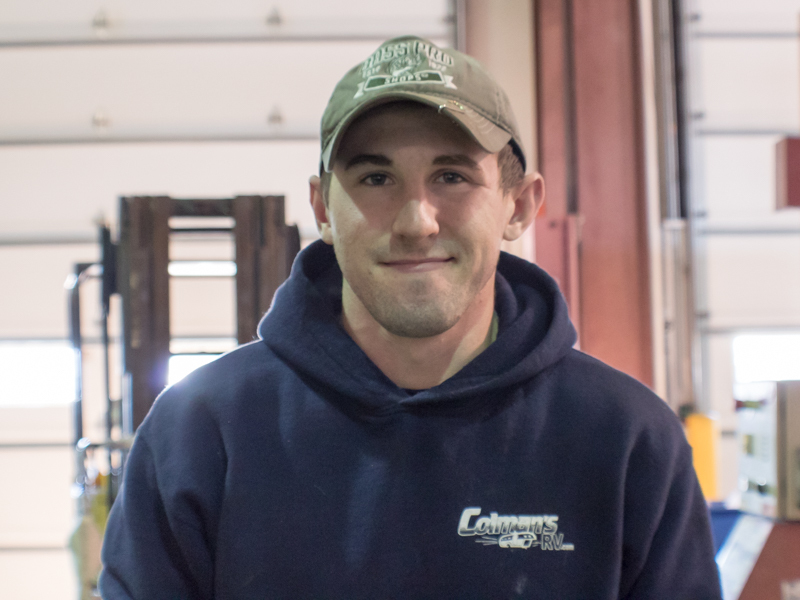 Second in seniority only to Greg, Joe has developed into an exceptional technician and an all around great employee. 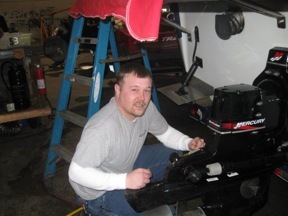 Joe started as a detailer and in a very short time, was prepping and rigging new boats for delivery. 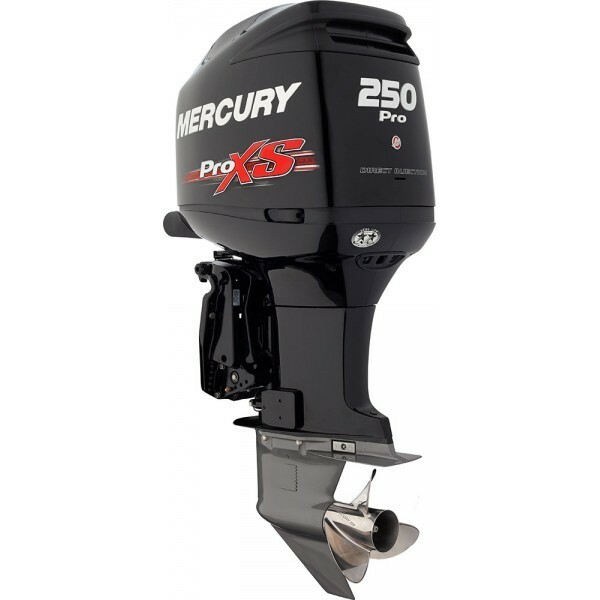 Now Joe is a dual certified Mercury Marine technician in Mercury outboards and Mercruiser stern drives, and a good one at that. Joe has grown a great deal with the company in every way but size. Joe is as committed to staying healthy and fit, as he is to making sure our customers engines get fixed right the first time. In his spare time Joe enjoys fishing, golfing, and is an excellent pool player. Not unlike many of The Boat Dock employees, he started out in the detail department. Kevin joined the team in 2003, and has grown through the ranks. 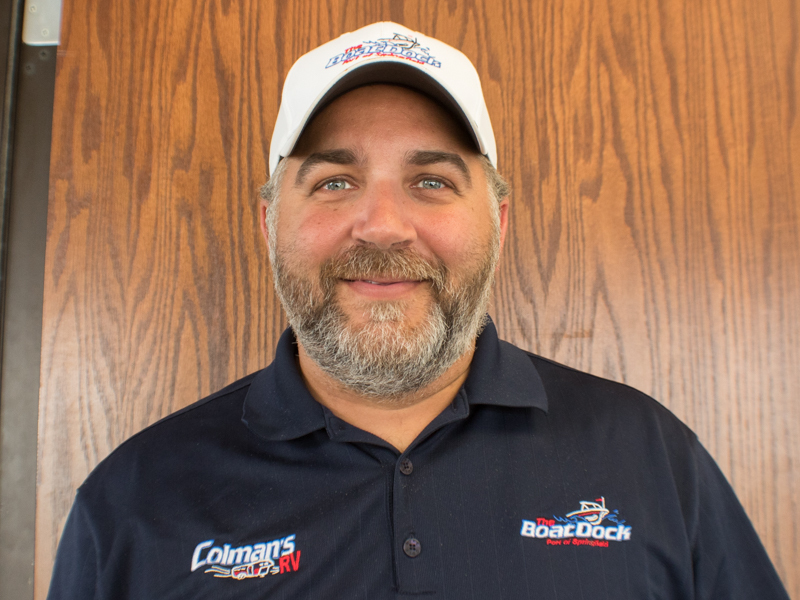 Most recently Kevin has taken over as Sales Coordinator overseeing all aspects of sales for both The Boat Dock and Colman's RV. Like most of the members of the team Kevin is an outdoorsman and an athlete. Kevin enjoys camping, fishing, softball and almost any outdoor activity. Kevin has proven to be a real asset, and is committed to customer service. Another one of the many employees that have started in the detail department, and worked their way up through the ranks. 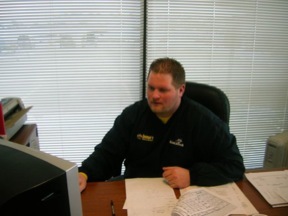 Adam started in 2003 and has become one of the top sales producers for the company. Though his title is salesperson, like most of us in this organization he wears a number of hats besides sales. Adam makes sure the entire pre-owned product keeps current on the Internet, which at times is overwhelming. In the off season Adam helps a great deal in service with storage, shrinkwrap, and detailing. Adam also is an avid outdoorsman in every sense of the word, loves boating, fishing, and camping. You can also find him competing on the local tournament trail in his own Nitro boat. Adam is second to none in making sure his customers are satisfied in all aspects of their buying experience. "What's for lunch" Reynolds started with The Boat Dock in spring of 2008. In addition to proving his abilities as a top notch sales associate, Bill also enjoys the outdoors. He and his prize winning hunting dog Tucker spend a great deal of time duck hunting in the off season. Between that and motorcycle riding bill keeps pretty busy. Like any good sales person Bill does a very good job of asking the right question to best determine what will fit your needs. 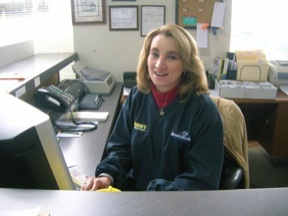 Sue joined The Boat Dock and Colman's RV in the summer of 2008 and started as receptionist, and has become one of the most versatile employees in the company. From personal assistant to the owners, to sales, to new camper check-ins and most recently finance and insurance business manager.. Shy of turning a wrench, we're not sure there is anything she can't do. Sue is always looking for things to keep her busy. Her sparkling personality and work ethic has made her a home here for as long as she is willing. He joined our team in 2018, coming from a sales background Tyler has helped us grow our relationships with our customers. His knowledge and commitment to help anyone who walks through the door, is just one attribute which we all appreciate. When he is not working, the adventures begin with his family. They all enjoy camping, fishing, lakes, and several other activities outdoors. 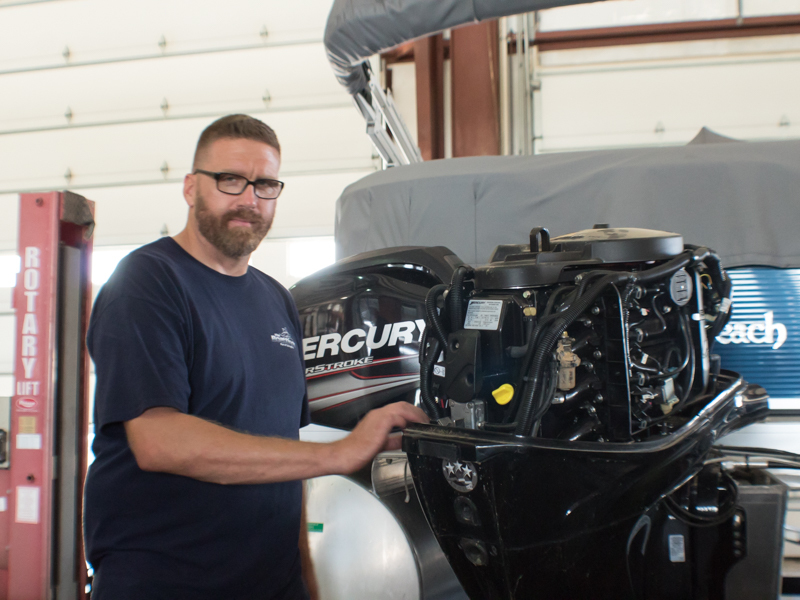 Mark, is like many of our other staff in that he started in the detail department and worked his way up to certified Mercury Marine technician We are very proud of the Beatty boys and their accomplishments here. We have no doubt with his persistence and commitment, it's just a matter of time before he is also dual certified in Mercury outboards and Mercruiser stern drives. 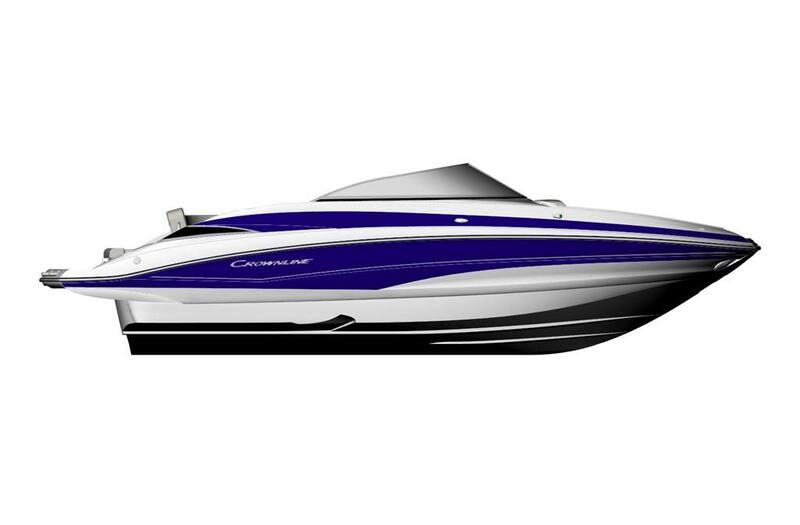 Mark also is a boater and outdoorsman and likes playing as hard as he works. 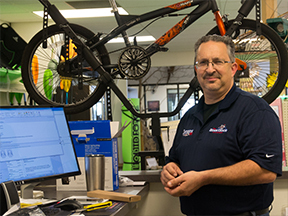 Earl has been a technician in the recreational industry since 2001 and has been with us since 2005. He is one of those guys who "knows how to get the job done." Whenever we cannot find an easy way to fix something, we bring Greg in. His ideas and fabrication skills have helped many a customer out of a pinch. 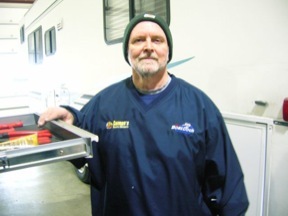 Greg spends the majority of his time focusing on the campers and RV's but is always willing to help wherever he can. Greg is an avid Harley rider and takes full advantage of our VIP motorcycle parking in the summer. Come deer season though, off go the chaps and on go the cammo as Greg is also an avid outdoorsman. We are happy to have him on board. 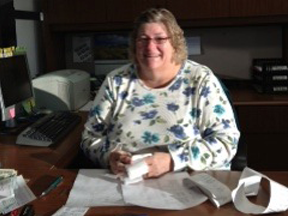 Jeanette brings a wealth of accounting, bookkeeping and boat industry experience to The Boat Dock. She hails from a small town near Litchfield and commutes daily. It's no surprise that with this traveling bone, she loves to travel, including recently taking a family trip to Europe which included her granddaughter. Jeanette has also become our resident "Bird Lady" as she loves birds, keeping some as pets and also raising chickens at the family "farm." We are very happy to have her here with us. 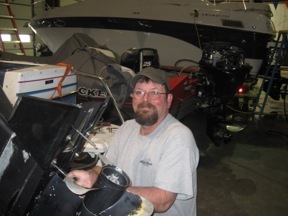 David is a welcome addition to The Boat Dock and brings with him a wealth of parts knowledge. David is also very technologically savvy and has a strong mechanical background. His first priority is making sure that our customers get what they need when they need it. A requirement for being part of The Boat Dock team is a good sense of humor, and with that being said, he certainly fits in. Family is a strong part of our foundation and is a large part of David's life as well. He is a devoted family man and enjoys the outdoors and boating. We are very proud to have him with us. What a wonderful asset to our company and a huge asset to our customers. We first got to know Curt many years ago while his family became valued customers here. When it was time for Curt to make career decisions he decided he wanted to make this his career, and we could not be happier. We are looking forward to Curt completing his training and technician apprenticeship here and becoming certified very soon. Curt is a family man and is married with children of his own, who knows if we get to know them like we did him maybe the next generation of Colman's and Boat Dock staff is closer than you think! We could only be so lucky! When it comes to hard work and having an eye for detail, Brock is no stranger. He is new to the team but fits in like he's been here for years. 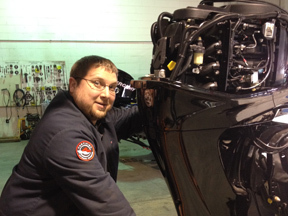 The service department gained a huge asset while providing Brock the environment to showcase his skills in many areas. Brock is a hard worker and never leaves a job unfinished. His passion for finding a problem and fixing it has been instilled to his character. He is a strong influence to his co-workers and gets along with all of them. During his spare time, he enjoys camping with his family, fishing, and just enjoying the outdoors. We are very happy to have Brock on board with us! Chad is fairly new to the company starting June of 2017, but he certainly isn’t new to the business of digital marketing and creativity. He is our guy which directs all of our digital marketing needs! Chad moved back here from Texas after working in the architectural drafting field, and reunited with his roots in Illinois. He is able to have a vision for seeking out what’s best for the company and drives his goals into the end zone! His dedication to the company is obvious and greatly acknowledged. While studying Graphic Design, Chad also enjoys time with his family.He is active in areas such as: camping, hiking, photography, design, and traveling. We are all happy that Chad jumped on the wagon with us! What a great find for us and for our customers! We certainly look for people that are conscientious and always do their best with the customer in mind and Steve represents this to the letter. Steve is very detailed oriented and truly cares about our customers and our company. 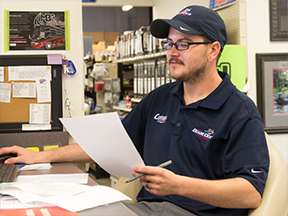 There really isn’t much he won’t do to help our customers and to help our service department run better and more efficiently, helping us to help our customer in a more timely manner. 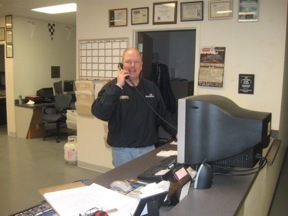 Many of the great improvements to our service department and its layout can be directly attributed to Steve. He truly loves the art of finding out why something isn’t working and figuring out how to make it better, along with ongoing training this drives him to a better job each day. 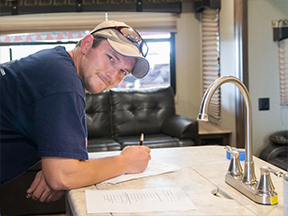 As of this writing he is attending training at one of our RV manufacturer’s facilities honing his skills! There is more to having great people than just caring about work, Steve is a dedicated family man and goes to great lengths to make sure his family is taken care of, a hallmark of a good person. When he isn’t here helping our customers Steve love the outdoors and his family, Steve (along with one of our other staffers) coaches kids sports, he loves sports himself and plays golf and softball. Steve was one of the first employees to take advantage of our employee purchase program for kayaks and has an Ascend kayak that he ventures out with frequently. We are very lucky to have him, thank you Steve. With a passion for helping people out, JD is a guy which will change any situation to a better one! 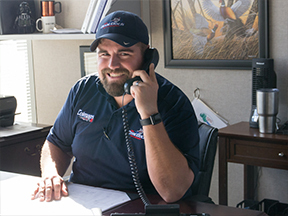 He has been with our company since March of 2017, but his approach of building relationships with others makes it feel like he’s been here longer. As a salesman, JD is able to recognize the needs of customers and delivers exceptional results. He is a guy who is honest to our company, but most importantly, our customers. 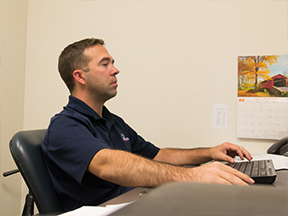 His background in construction, emergency response, and fighting fires makes him a jack of all trades. He loves hunting, cooking, sporting events, live concerts, and spending quality time with his wife and daughter. We are very happy to have such a great guy on our team! Mike joined the company with one intention: making a difference! His sense of humor and knowledge makes Mike a great employee. He is always methodical in completing each task assigned, and proves to be a key player within our company. His carpenter skills along with his other strong attributes, makes Mike a perfect fit for his role here. When he is not doing his best here at work, Mike spends a lot of time with his family. They go on vacations and spend time out in the woods camping and hunting. But that is not all Mike enjoys, you can find him on his boat at various locations around Illinois fishing for the perfect catch! Mike fits right in with us; we fit right in with him! His exceptional work done here is noticed and appreciated by all. 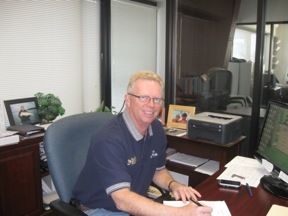 Scott has served our company and customers with smiles for many years! But he is not just a salesman; he is an all around guy here at the store. We all enjoy Scott’s jokes and his enthusiasm when it comes to making all the customers happy when they enter and leave the store. His knowledge of campers and boats is enough to make anyone feel comfortable once talking to him. When Scott is not at the store making people laugh, he would most likely be found on a lake fishing, in the woods hunting, or simply just at home with his family! Scott is respected by all of us here at the store and his dedication to work and his family proves he has focus on what matters in life! Thank you Scott, for your hard work and commitment to us and our customers. Sean joined our company with one mission: excellent customer service. 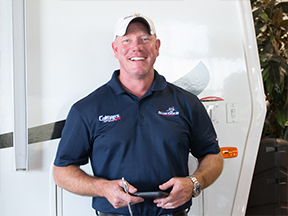 He is able to answer any question you may have regarding your boat or camper! But his knowledge doesn’t end there; Sean also has 10 years experience being a Ford technician. He is liked by all and always has a smile on his face! When we can pull Sean away from working, he will be out on the hunt! Fishing is his main hobby followed by his passion of trains, drums, hiking, and camping! We ask Sean to play his drums at events we hold, although we are still awaiting his Def Leopard side to come out! We are all very happy that Sean joined our team and look forward to each year building memories with him. Thanks Sean for your hard work and providing our customers with honesty and recommendations. When you stop by or call us we always hope you will be greeted with a big smile and a sincere hello and much of that comes from Tashina. 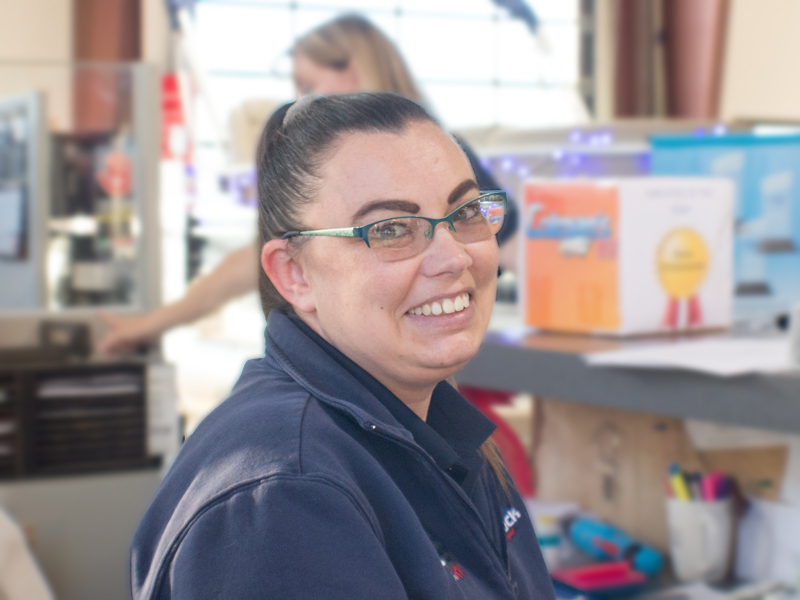 Always upbeat and with a smile on her face Tashina joined The Boat Dock or Colman's RV in 2017 and we couldn’t be happier. Tashina comes from a great hard working family and this we know for sure because her mom and two of her cousins work with us!! And they have been here for over 10 years and hopefully Tashina will too. Tashina moved here last year from Colorado with her husband and two children to be closer to family, they are adjusting to the flatland just fine and fitting in here with our family as well. When you stop in or call be sure to say hi to her.